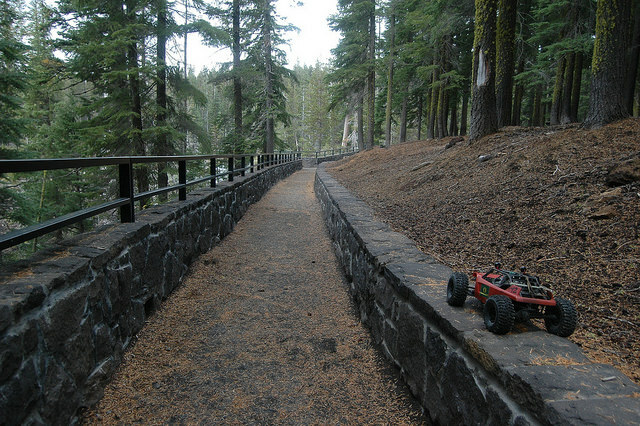 Last September the G-train invaded the Newberry National Volcanic Monument, just outside of La Pine, Oregon in the beautiful Deschutes National Forest. 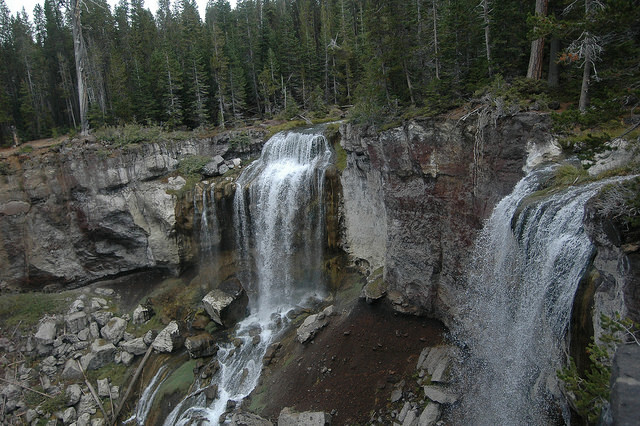 This amazing bit of geology includes over 50,000 acres of lakes, lava flows, dense forest and high desert. 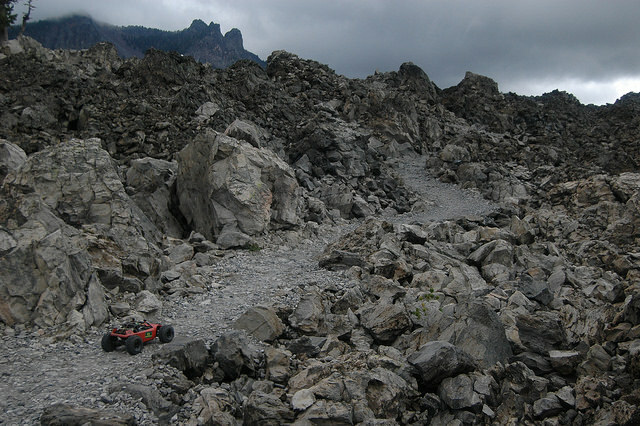 It is an endless R/C crawling playground smack in the middle of a 500 square mile active volcano. 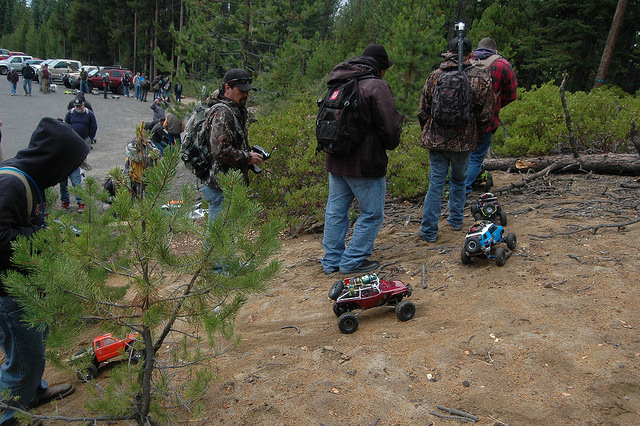 The perfect environment for Mr. Brian Parker and his crew to entertain a group of over 100 Northwest scale crawling enthusiasts with both day and night G6 stages. 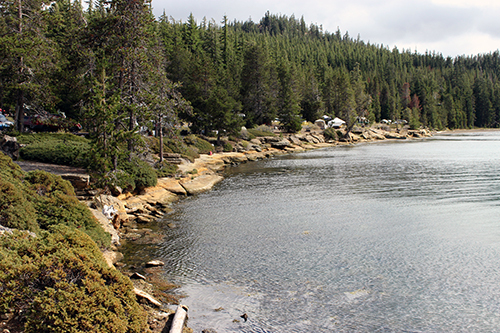 The beautiful Paulina Lake. 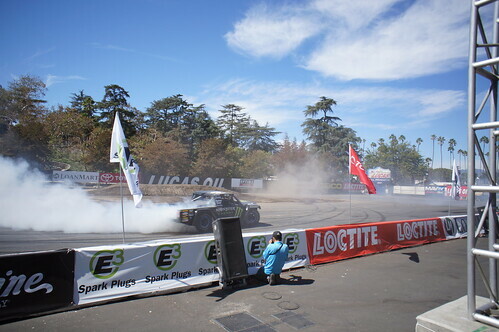 A large portion of the day stage ran around part of the perimeter. 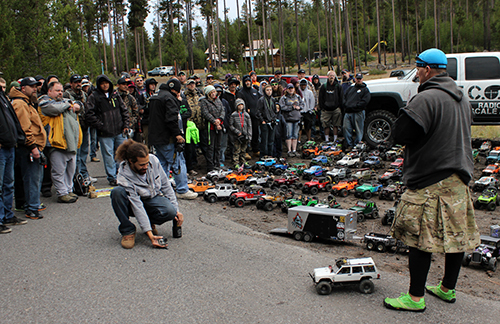 Saturday morning began with the Rivas concepts show & shine with prizes from Hoyfab Crawlers, followed by a group photo and drivers meeting. Parker went over the basic G6 rules, and the national anthem played to kick off the event. 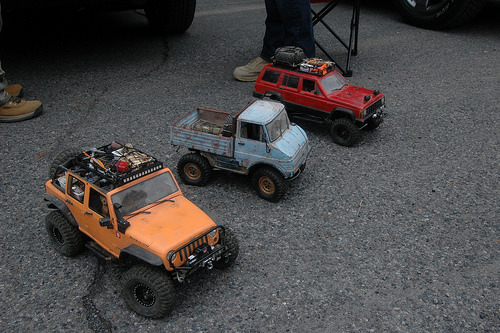 There were endless unique and well-built rigs to drool over. 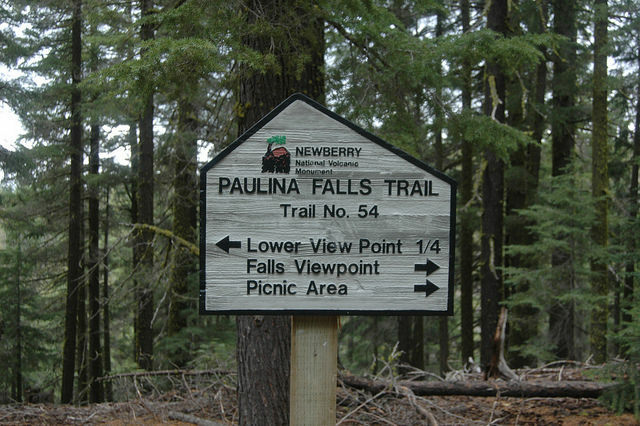 The G6 was set up to run at 4 different locations around the park; Paulina Lake, Paulina Falls, The Bosidian Flow, and The Snow Park (Staging Area). You could run them in any order, and there were special photos you could take at each to earn bonuses. 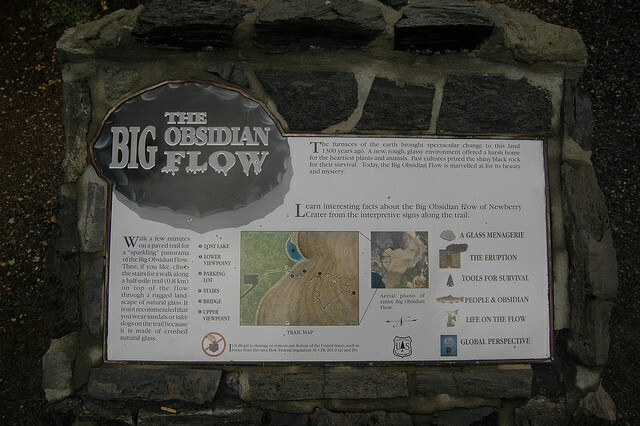 The Obsidian Flow was pretty epic crawling. 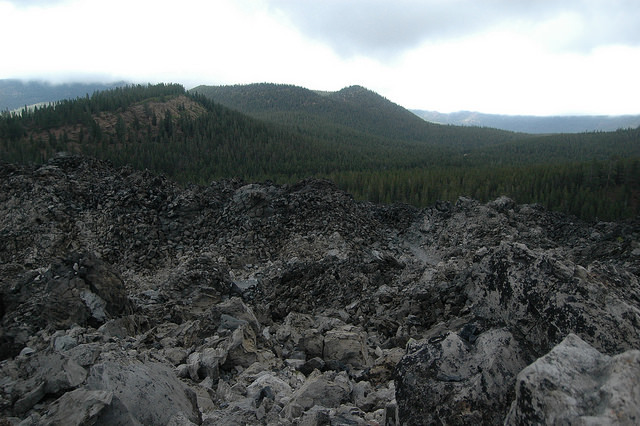 Endless jagged rock and beautiful scenery. 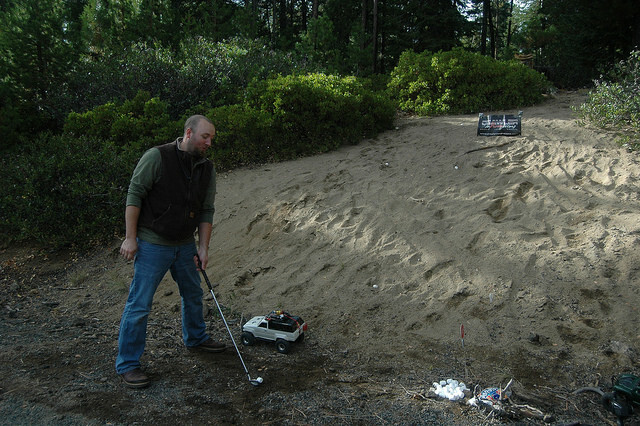 The Marshmallow golf challenge: Hit one past the Crawler Innovations banner for extra points! I wasn’t able to get pictures of the night stage, but there is some good video on YouTube and many more pictures on Facebook! 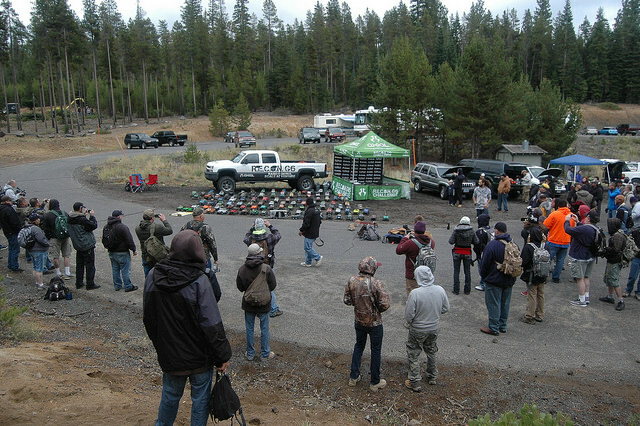 It was a great event with awesome turnout, over 130 entries if I remember correctly. The courses were challenging but not too difficult, and people seemed to have a great time exploring the park. Many thanks to Brian and crew for their hard work! We look forward to next year. 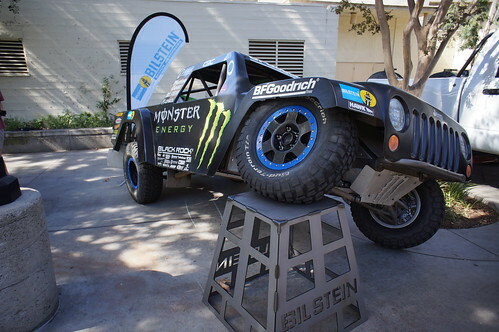 Tires are inarguably one of the most significant deciding factors when it comes to determining the real-world capability of a vehicle. 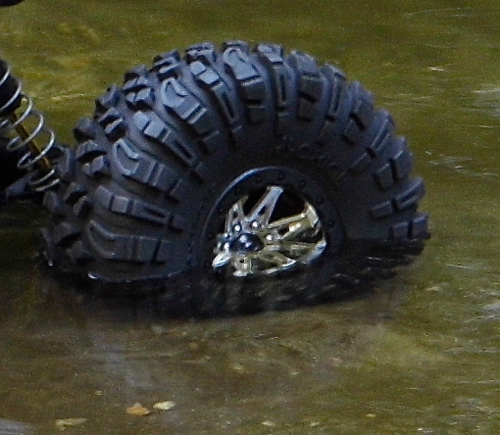 Tires will make or break a RC vehicle. 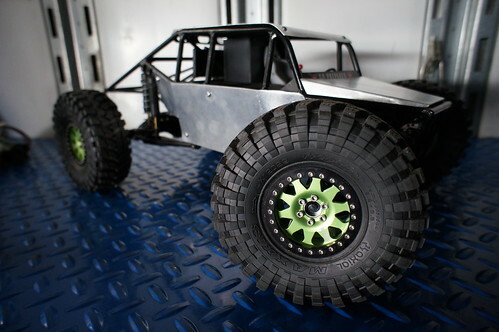 In the case of crawlers, where a lack of traction can lead to a nasty fall, tires can quite literally make or break a rig. 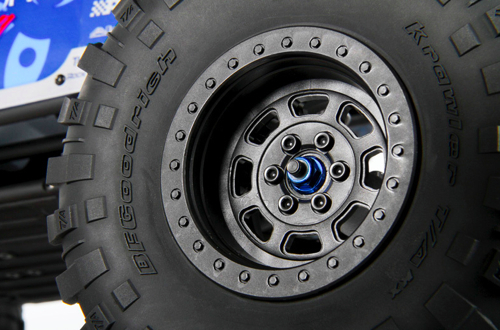 You need the right tires, and to really get the most out of a set of tires you need to know when to replace them. 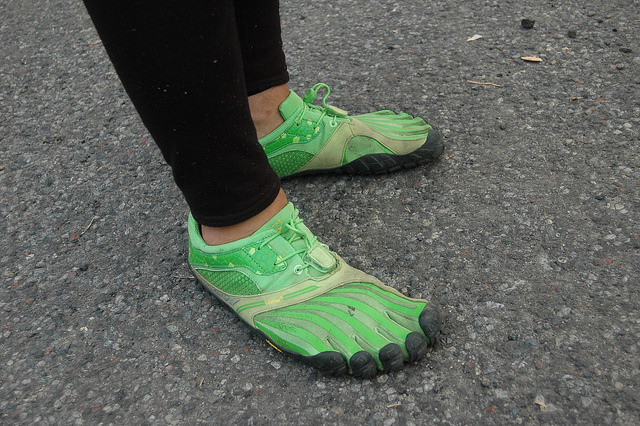 Most people think of reduced tread depth as the primary concern with tire wear. 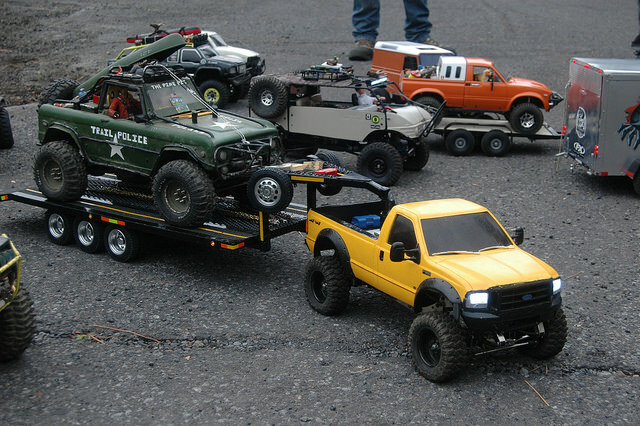 It may be important for your full-size car, but it is essentially a nonissue when it comes to RC applications such as rock crawling. The real issue at hand is rounded edges. 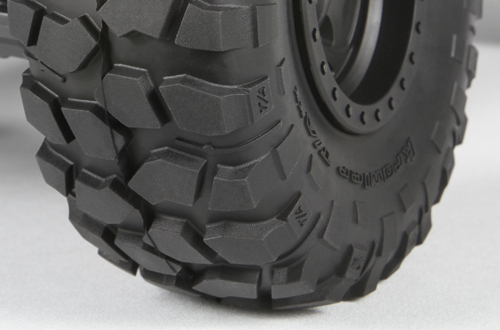 When tires are new, the lugs have sharp edges that grab rocks and provide traction. Rounded edges will, in contrast, slip and spin. Examine your tires closely and look at the forward edges of the lugs. If you look closely, you’ll see how the edges get rounded. You also most likely notice the rear facing edges of each lug are relatively new looking in comparison. 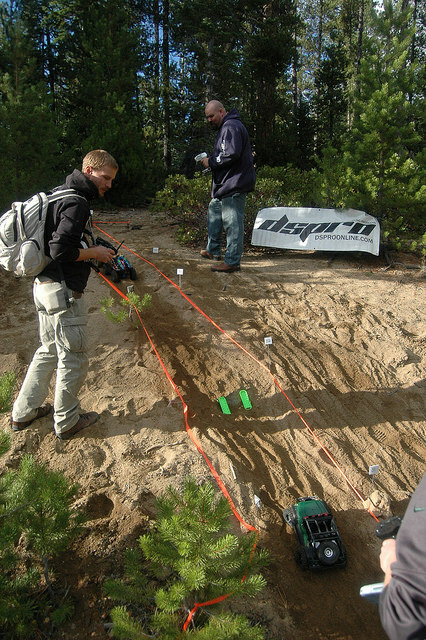 Where all of this leads is to hopefully making you realize the value of rotating your RC tires. Rotating tires really works for getting the most out of a set. 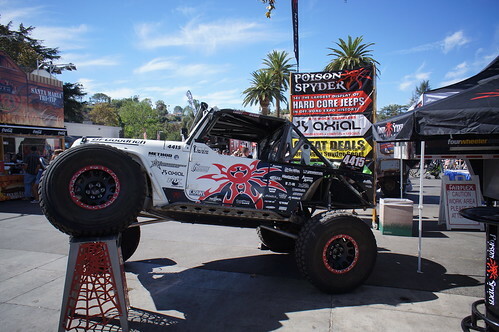 When a set of tires has been rotated and both sides of the lugs are rounded off, it’s time to set the tires aside for practice and play and get a new set. Another part of tire wear you need to understand is examining for tears and cuts. Tires come in different thicknesses Thinner carcasses are, as you’d expect, often easier to get tears and cuts in. The key to dealing with these puncture wounds is early detection. If you notice the damage before it gets too bad, you can actually fix the repair with CA glue. It’s worth noting that some pretty long tears can be fixed, but have to be fixed in small sections at a time. 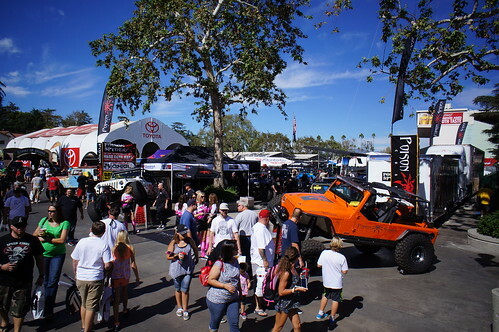 Off Road EXPO at the Pamona Fairplex is an event that you must attend if you live in the So Cal area. 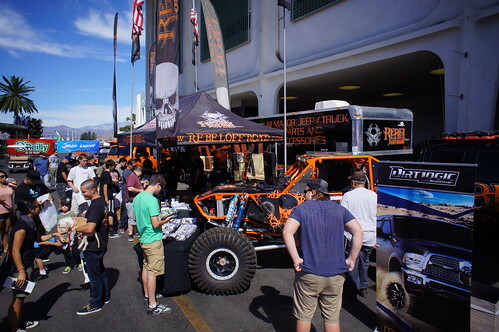 This is the big off road show where you get to see all the latest and greatest off road equipment. 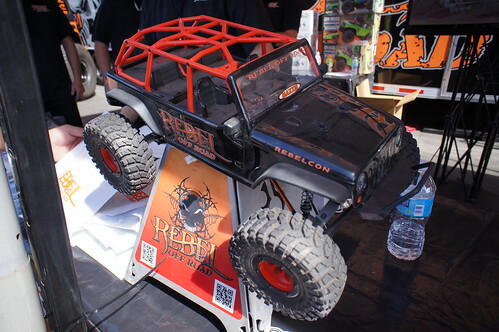 We were on the scene checking out some of the awesome rigs on site and snapping photos of the Axial rigs we could find at the show. This year was different for Axial as we had quite a lot going on. 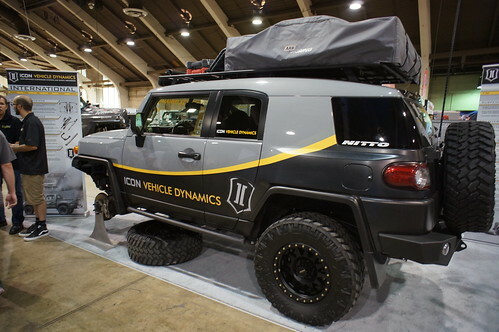 We had demos going in the Poison Spyder booth, the Icon Vehicle Dynamics booth, and the Yeti XL was attracting eyeballs in the BFG booth for its first public appearance. 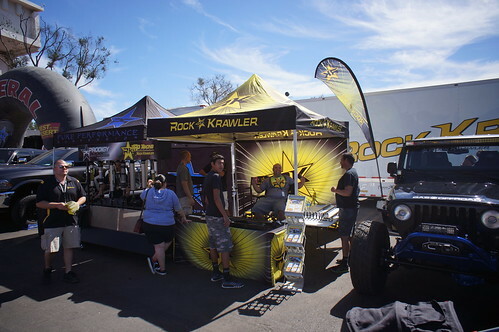 Many of the Axial marketing partners were also on site showing off their latest goodies…. Check it out! 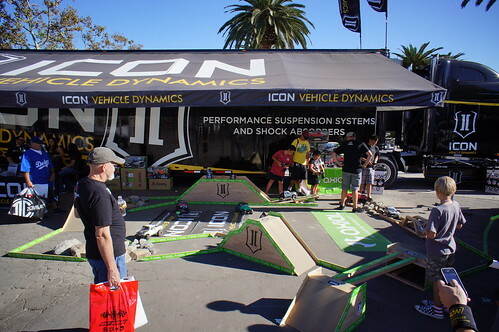 Icon Vehicle Dynamics just picked up a big rig to take their products and show on the road. 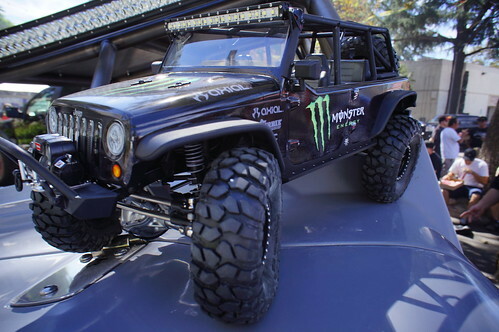 This beautiful rig grabbed tons of attention. 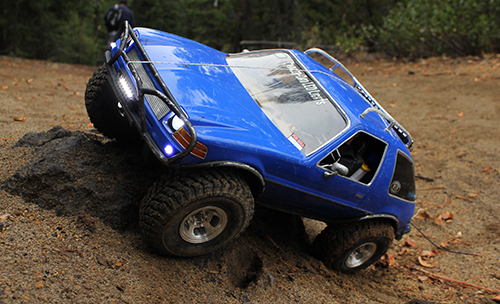 Those that ventured over to see them got to try their hand wheeling some SCX10s. 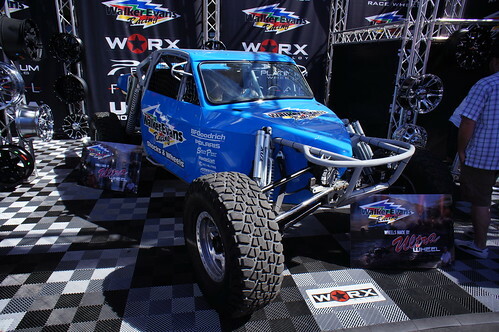 You would have the option of running the Ram Power Wagon, the Honcho or the JK. 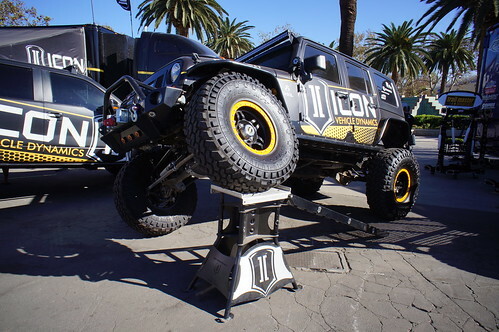 Have we mentioned we Love the ICON JK? and check out this awesome machine!!! 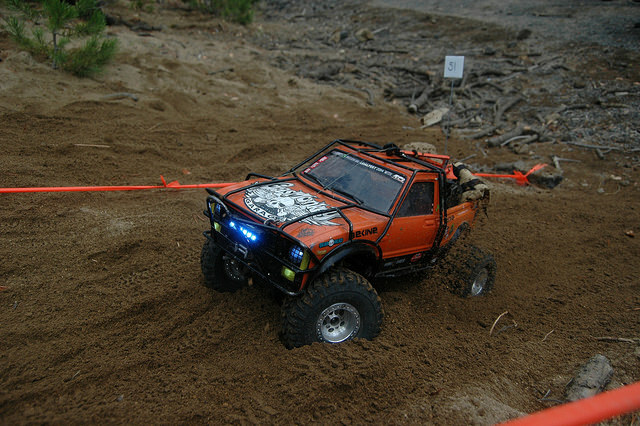 I want this body for an SCX10! 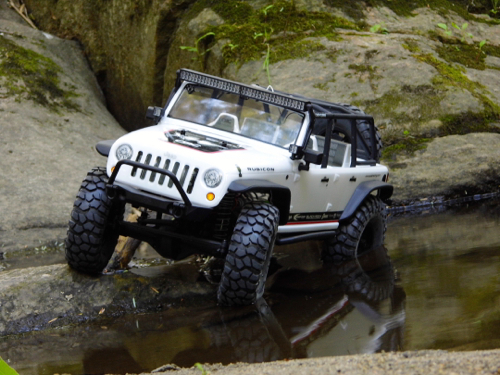 Walker Evans Racing on site with this super clean JK! 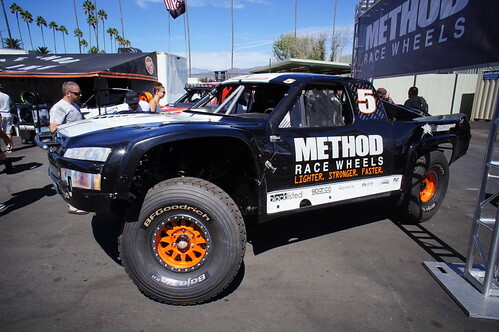 Does anyone else want 20 minutes alone in the desert with Method’s TT? 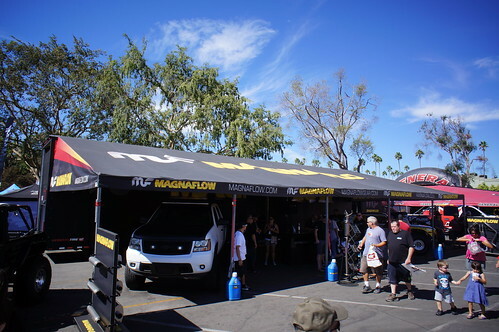 Also cruising around the Magnaflow booth was this little desert package, ready for the dirt this winter season! 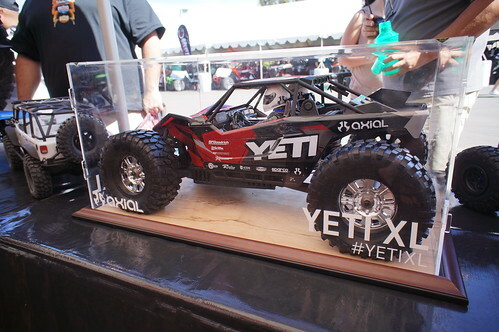 They even had a Yeti on site! 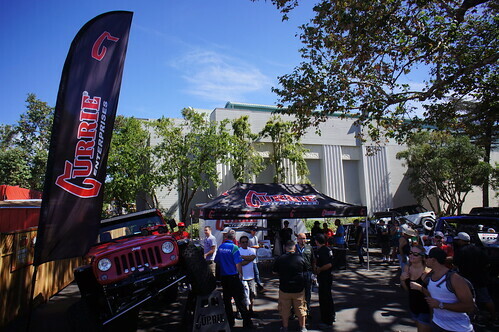 The Poison Spyder booth was a hit as always, completely jam packed with Jeep enthusiasts all day long! 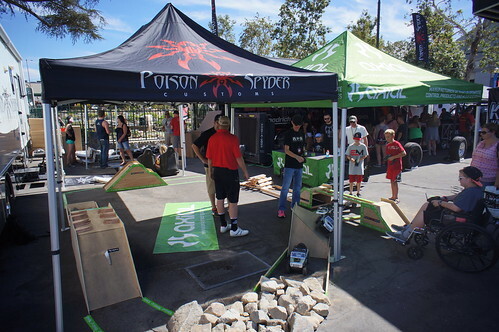 The Demo at Poison Spyder was fun all around. and then do this 20 mins later…. 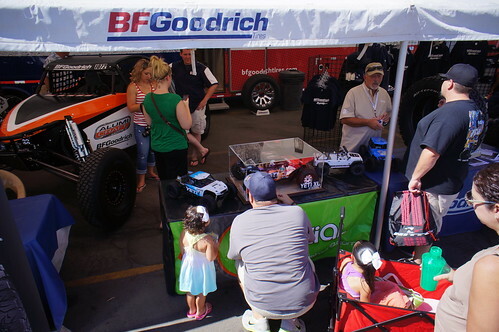 The BFG booth had a steady flow of people all day, most to see the new KO2 tire, and a few to check out the Yeti XL! 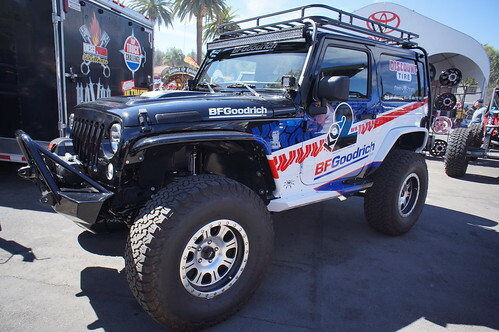 BFG has an awesome 2 door, we want this one too…. We bumped into sPOD in the main hall. 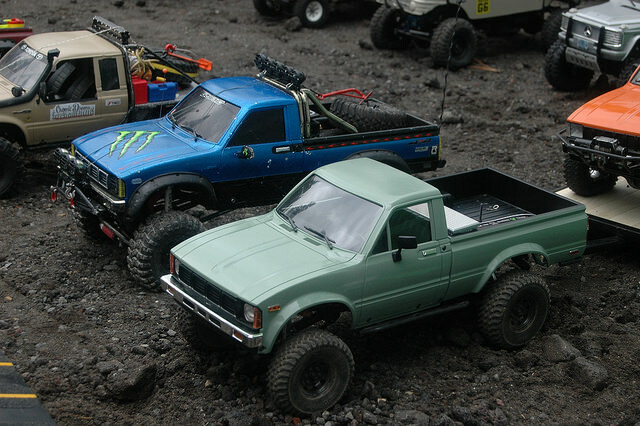 They are using their SCX10 as part of their display system. 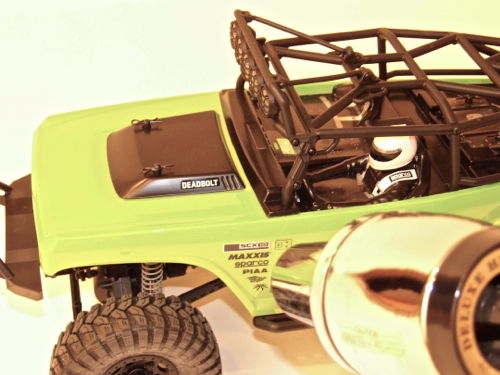 So9 cool to hit the buttons on the sPOD, and the lights on the SCX10 light up! 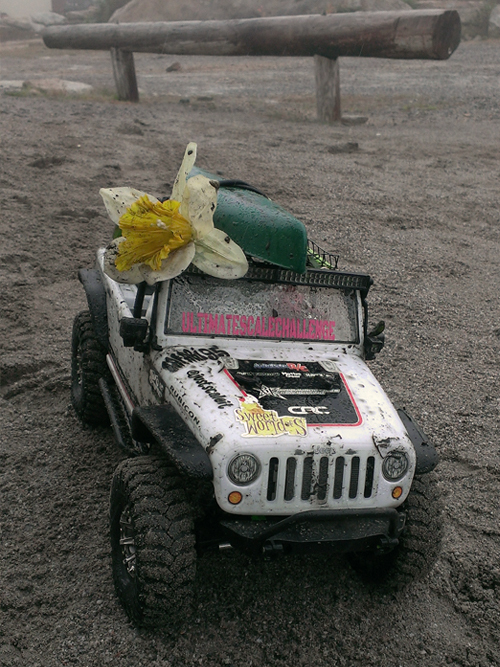 Alex at AOE has been busy, his JK is looking ready for action! 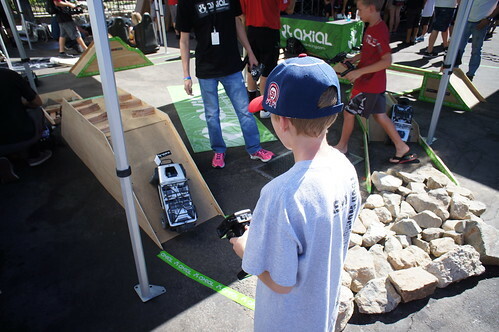 Here are a few parting shots for you, these kids have no idea how cool they are! Oh and did you want any Jeep with your tires? 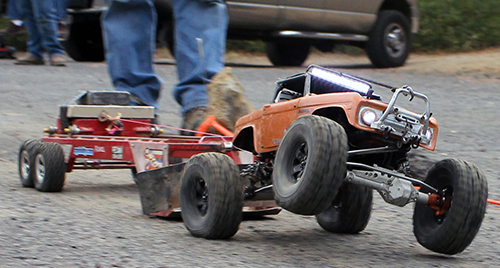 Building Axial’s aluminum suspension and steering links isn’t tricky business, but if you don’t perform the task correctly, you can create problems. Follow these steps for perfectly built links. 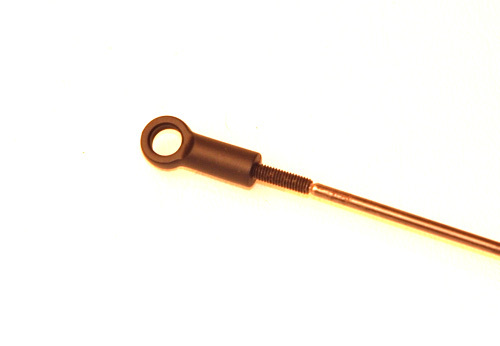 The 3x16mm set screw (AXA186) threads into the plastic rod end, not the other way around in the threaded aluminum pipe. Threading the set screw in halfway is perfect, and there is no need for thread-locking compound. To make sure you’ve threaded the set screw in to the correct depth, hold an uninstalled set screw next to the parts you’re assembling to visually see how far you’ve threaded the set screw in. If you don’t thread the hardware in deep enough, the set screw will easily pull out of the plastic. If this happens, the plastic rod end should not be reused. If you thread the set screw in too far, it can bind the ball in the rod end. 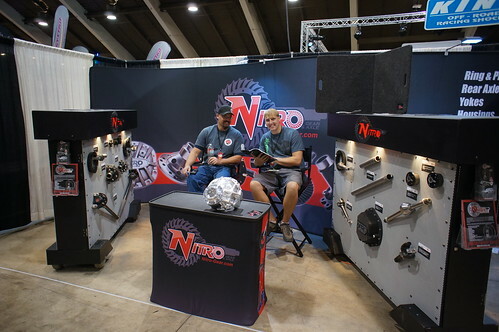 Even if you back it out, you may have created a dimple inside the rod end and you won’t have the free movement that is desired for suspension and steering links. Also, if the set screw isn’t deep enough into the link, it may be prone to wobble. You can make custom-length links by adding spacers or by joining aluminum links together. 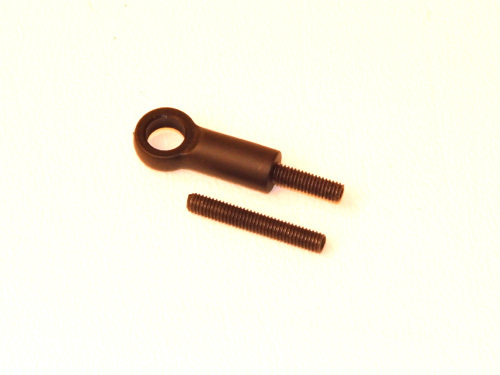 Two aluminum links can be connected using a set screw. Again, don’t use thread-locking compound. Instead, just snug down the pieces and the assembly won’t loosen once installed. 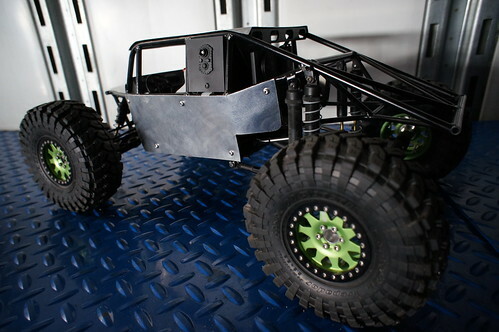 Axial Racing’s scale accessories are designed to be easy to attach to a body, but there are steps you can take to get more realistic results and to ensure the scale accessories stay put. Side mirrors might be small, but they undeniably make a huge difference and really up the scale realism of a body. 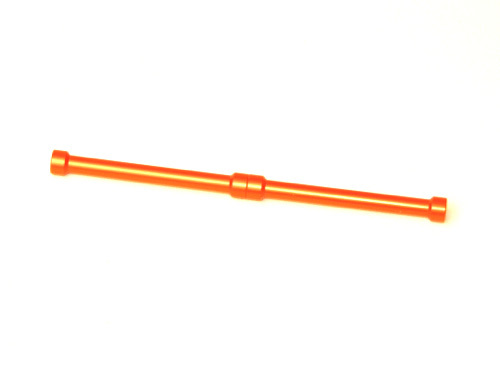 Quite possibly the most important tool for mounting the vast majority of scale accessories, including side mirrors, is a high quality body reamer. Axial’s thin reamer is more precise than a large reamer and perfect for this type of work because it makes it much harder to cut an overly large hole. The first step in mounting your mirrors correctly is to go online and do a little research. 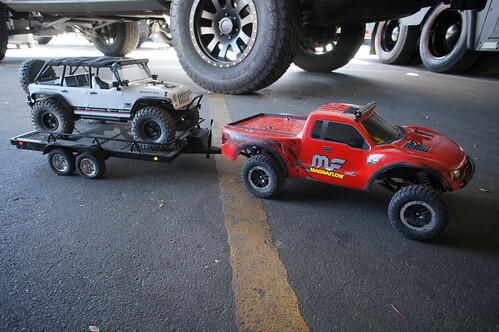 Search for photos of full-size trucks similar to your model. This will help you select the best mirror style and locate the correct placement. After you have located where you want to mount the mirror, use a permanent marker to mark the spot. 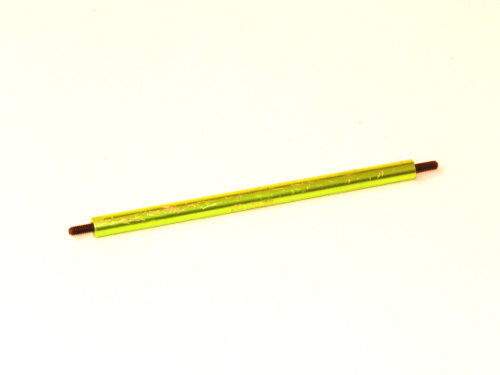 Use the reamer to open a hole—a small hole. Go slowly and make sure you do not create too large of a hole. Don’t worry if the mirror fits slightly loose as the mounting method we recommend will secure the mirror. 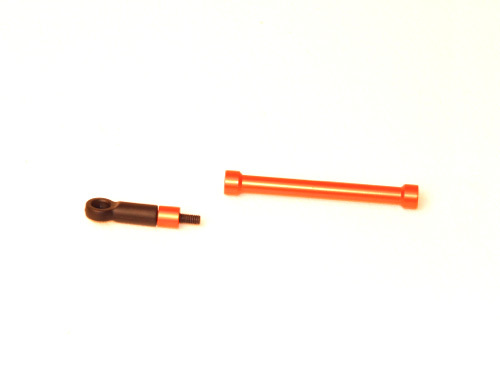 Axial’s scale accessory parts trees include shims. The shims are not always needed, but are very handy for achieving the desired angle of the mirror on different bodies. If shims are used, a small amount of modeler’s cement will keep them in place. 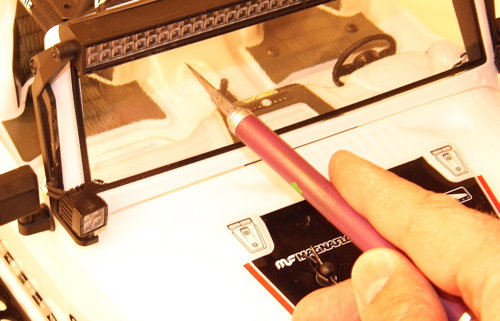 Glue the shim to the mirror’s mounting plate. Do not glue the shim to the body. The glue isn’t necessary, but it will keep the shim from rotating. When the mirror is inserted through the body, slide one of the supplied O-rings over the small nub. If a shim is used, the O-ring can be difficult, if not impossible, to install. Do not worry if you can’t get an O-ring on. Either way, secure the mirror with one of the small body clips. 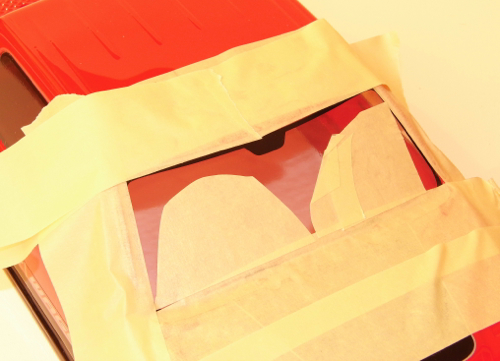 The real trick to mounting the mirrors is using silicone glue on the inside of the body. 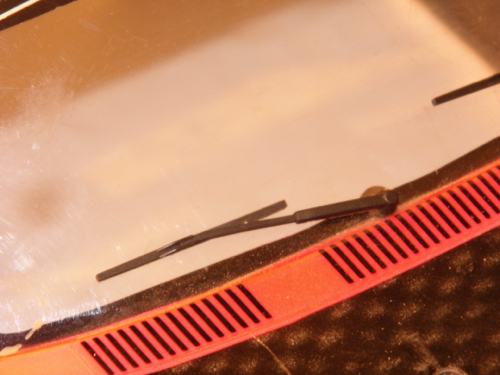 Silicone will still be flexible when dry and can be removed if the mirror needs to be replaced. A healthy glob of silicone glue will secure the body clip and keep the mirror from rotating on the body. Windshield wipers are more straight forward and easier to mount than side mirrors, but they too require a little bit of research for the best results. 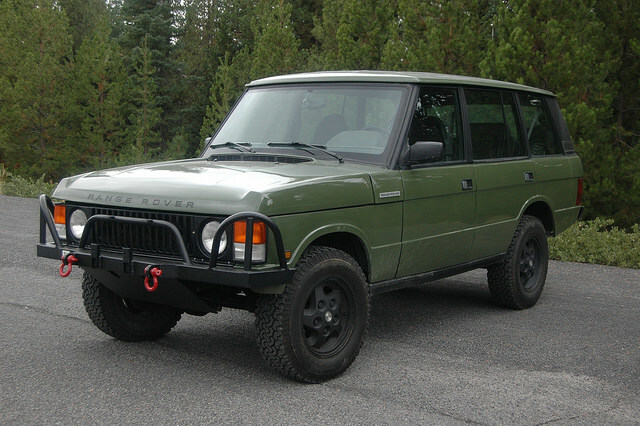 For example, if you’re trying to make your Deadbolt look like an early Bronco and have added a windshield, mount the wipers from the top of the windshield frame. 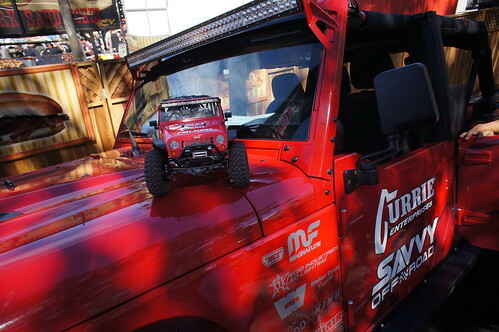 Real off-road vehicles get dirty and one of the places that always catches dirt and grime is the windshield. You can easily mimic the dirty windshield look and the results are truly eye-catching. This technique requires a lot of masking, but is fairly easy to full off. What you are to do is mask off the entire body. A plastic bag will be a big help here. Next, carefully mask off where the windshield wipers clean the glass. This will essentially look like two overlapping half circles. The only part of the body that should be exposed is the parts of the windshield that the wipers don’t clean. Sometimes there is a small section in between the wipers at the bottom of the windshield that also doesn’t get cleaned. When you’re satisfied with how everything is sufficiently masked, spray a very light coat of brown Lexan safe paint. Hold the can twice as far away as you normally would and move the paint spray across in a smooth motion. You are not painting the windshield brown. The goal is to slightly tint the area. Next, do an even lighter coat of black. Be extremely careful to only perform a quick, light coat. Also, resist the temptation to add more paint. When the paint dries, it will cover slightly better than it looks wet. Plus, you don’t want the windshield to look completely filthy when the rest of the body is relatively clean. The goal is to just make the windshield look real. 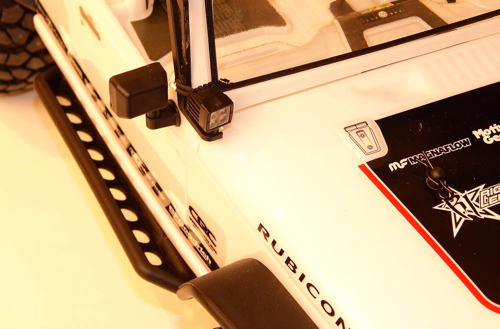 Cracked windshields aren’t uncommon on off-road vehicles. When you get a big crack in a passenger car, you get it fixed. 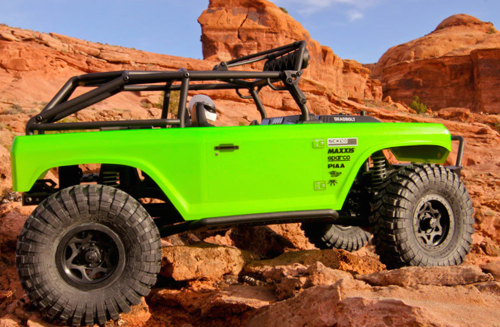 Off-roaders, however, usually, just suffer the damage until it has to be fixed. Making a fake crack is easy, but you have to be carefully so you don’t hurt yourself or your vehicle’s body. Using a hobby knife, draw a slightly zigzagging crack down the windshield. You can add a few small offshoots if you like. While it’s a task most of us rush to get done, applying decals can be tricky. Less than careful work can yield crooked decals with creases and air bubbles. But, what about removing decals? When you peel decals right after they have been applied, they might come off cleanly. Decals that have been adhered for a while may be difficult to remove, coming apart incompletely and in pieces, or at the very least leave a lot of messy residue behind. 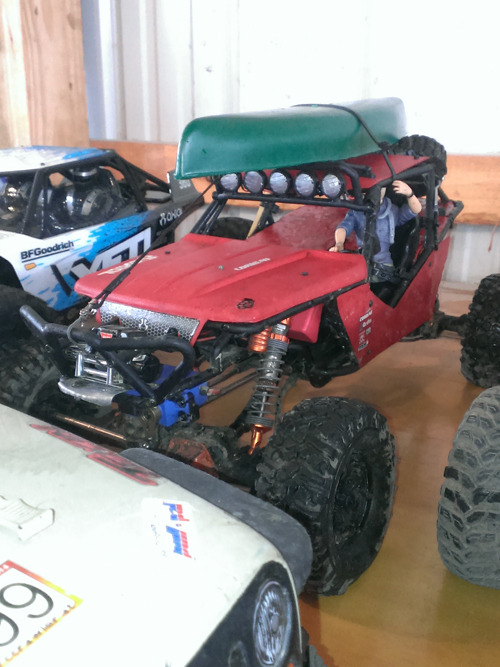 Using certain solvents can work, but some can easily damage Lexan. Lifting the edge of a decal with a sharp hobby knife can work and often does, but you need to be careful to not scratch the body. The best way to remove a decal is to use heat to loosen the adhesive. The key is to use heat, but not too much heat. A hobby-grade heat gun can be used, but most get hot enough to damage the body (and your skin) if you’re not careful. A decent hairdryer actually works great for this. Rarely do hairdryers get hot enough to damage Lexan, but most get plenty hot enough to loosen the adhesive. When using a hairdryer, or any heat gun for that matter, turn it on and let it run. The wire coils inside take a second or two to heat up. Start with the hair dryer close enough to target the decal you want to remove, but not so close that too much direct heat is applied. Keep the heat source moving and only apply heat to the non-painted side of the body. If a small decal that is close to other decals needs to be removed, the heat trick may not work. You may have to go simple and use your finger nail to scrape the decal off. To remove the residue that has likely been left behind, use an ordinary cotton swab and a cleaner such as rubbing alcohol to target the specific area. A careful touch here will prevent damage to surrounding decals. 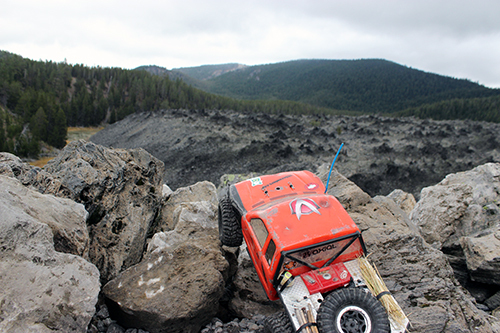 It’s obvious here at Axial that we are into scale anything. This also holds true for RECON G6. 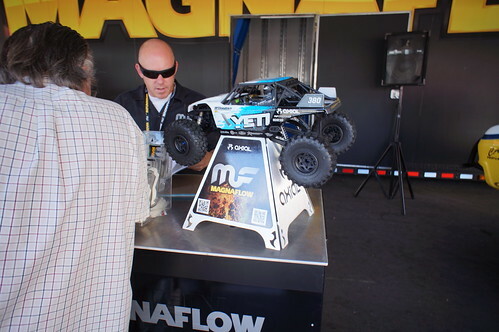 As seen at many RECON G6s, including AXIALFEST, Brian Parker’s personal enthusiasm with what he calls “clear mud” is obvious with every RECON G6. We have seen numerous photos of rigs with canoes strapped to the top. It’s just a natural extension of the outdoor lifestyle! On a recent RECON G6, Brian Parker had the pleasure of meeting one of the participants who happens to work in the 1:1 canoe industry. Parker’s enthusiasm led to the arrangement of this bio about Justin Hinshaw of Jackson Kayaks. My name is Justin Hinshaw. I’m 32 years old and bought my first hobby grade RC when I was 17. I’ve loved RCs since I can remember, but as a kid I only ever got maybe 3 or 4 crappy Kmart buggies for Christmas and I always broke them right away like my parents said I would. 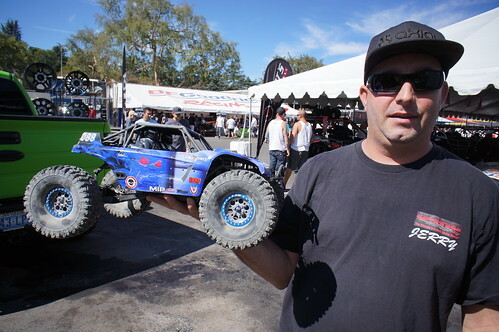 When I was 17, I picked up a Traxxas Stampede with mechanical speed control from my LHS for $165. I modded the hell out of it over the years and I still have it today. 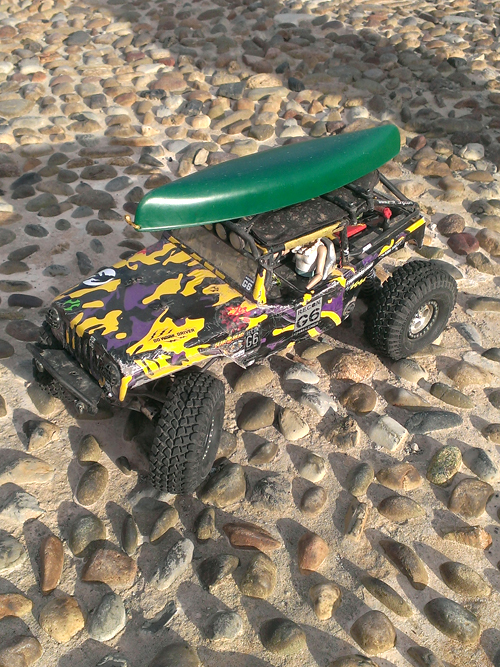 I’ve had a few other cars (nitro 4tec, rustler and some HPI nitro buggy I got used). 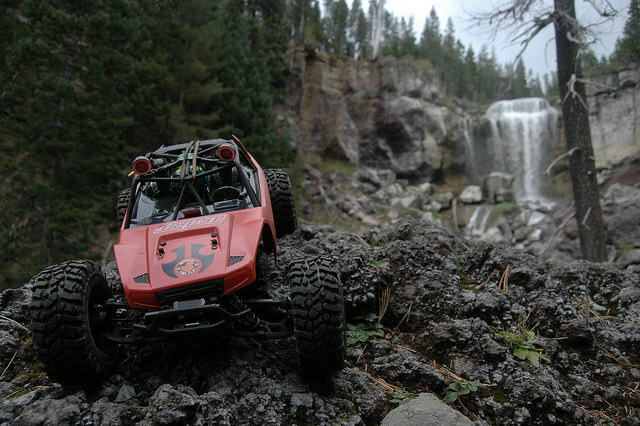 Anyways, I wanted an Axial since the first time I saw one but never had the extra cash to throw at one until I drove my buddy’s SCX10 this past summer. The next day I went on Craigslist and found a Wraith for $225. I’ve thrown about $600 at it in upgrades since then. 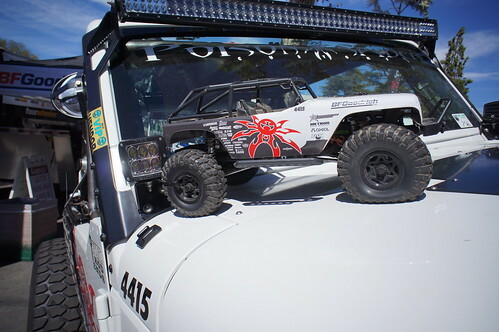 I love crawling – always have. 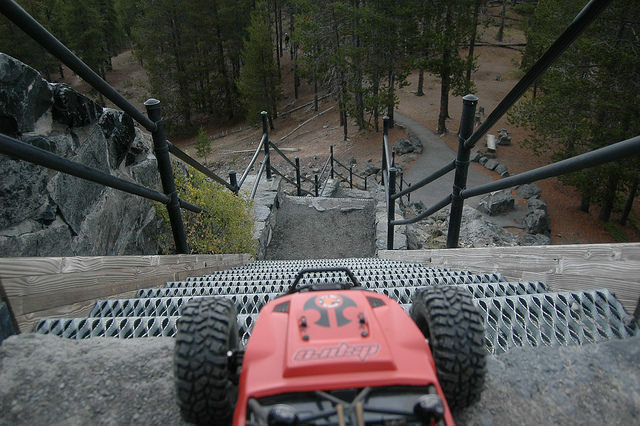 I used to crawl my 2wd stampede and pretend it was a real crawler (I locked the diff). When I heard RECON G6 was going to be a mere 8 hours away, I knew I had to go. 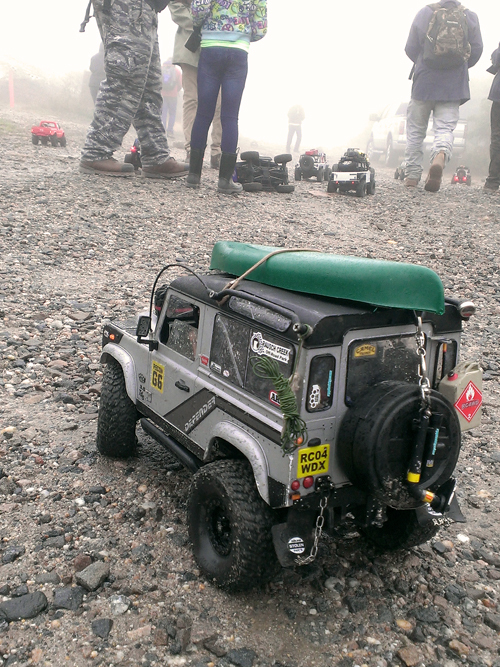 One of the requirements was that each driver had to bring a scale boat of some sort. Since I’ve worked in the kayak industry for nearly a decade I knew I’d be making my own. The place I work currently is a thermoforming plant which is partly owned by Jackson Kayaks. 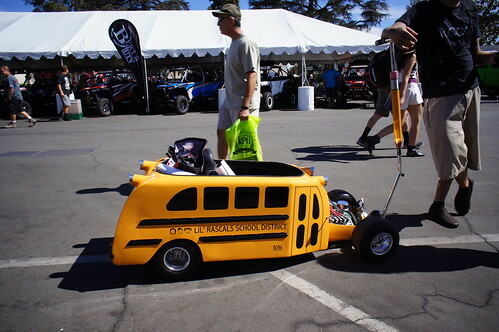 We make all types of products from playground slides to kayaks to rooftop cargo carriers you see on minivans on their way to the beach. The thermoforming (aka vacuum molding) process is a simple concept. 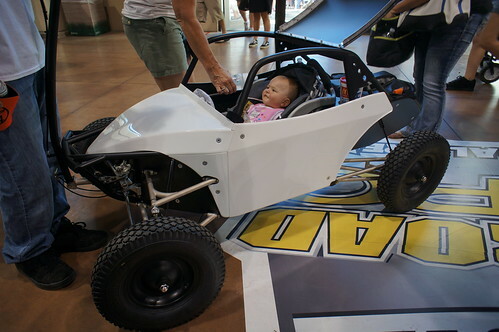 I’m pretty sure it’s how Lexan RC bodies are made. 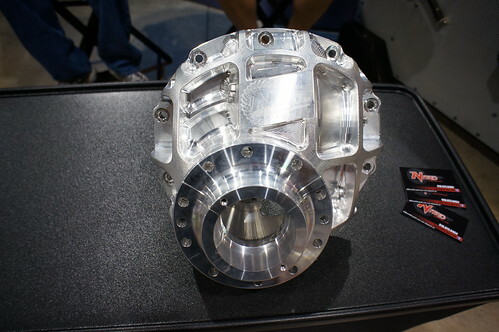 It’s a relatively low temperature process so the molds can be made of a variety of materials from aluminum to wood or MDF. The plastic comes in square or rectangular sheets and a vacuum box is built slightly smaller than the size of the sheet then the mold or molds are mounted to the vacuum box. Once the part is molded, it is trimmed out of the sheet and the leftover plastic is ground up and recycled, that’s where my canoe comes in. The extra space on the vacuum box is where I set my canoe mold so each time I molded a green playground slide I also molded a scale canoe. 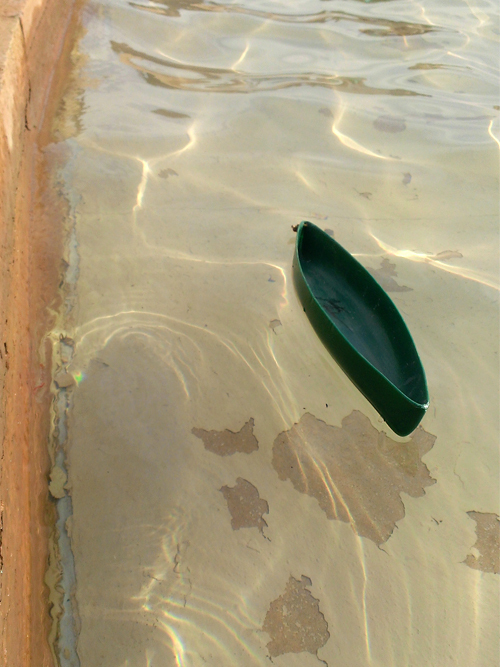 I made a quick canoe mold out of a piece of pine 2×4 during my break one day and molded a couple. They looked okay, but I wanted something better so I turned to a co-worker named Joe Walton. He is our R&D guy, he designs and builds our molds and he has over 25 years of experience in designing kayaks. He’s designed boats for Wilderness Systems, Legacy Paddlesports, Wave Sport and Jackson Kayaks. He is well known in the kayak industry. He is also an avid RC model airplane builder and pilot, so he was happy to help me with my canoe. The next day I came into work and he had a beautifully-sculpted canoe mold made of wood stashed in his shop (the big boss man still doesn’t know I’ve been molding canoes at work). The canoes turned out very nice and I’m grateful to have had an expert there to help me. I went ahead and made about 20 of the canoes to bring to the RECON G6 comp to sell, give away or just to help out a fellow G6er who may have needed a boat. Everyone seemed to like them and they also performed very well in the water. They track straight as an arrow. The canoes I brought were just rough cut out of the sheet and still needed some trimming shaping of the cockpit rim. I brought the tools along and trimmed them as needed when I gave them out. The G6 was over and award ceremony was wrapped up when Mr. G6 himself, Brian Parker, approached me and said he had to have a canoe. I didn’t have any more canoes trimmed and the canoes and trimming tools were back at my campsite. At this point my only option was to give him my personal canoe that had been strapped to my Wraith all day (except when I took it off to tow it through the water for one of the challenges on the stage). I was more than happy to hand it over to him and I’ll never forget what Parker said when I did. He handed it back to me along with a black Sharpie pen and said, “I’m a fan first.” That made me feel great and made my whole [RECON G6] experience even more memorable. 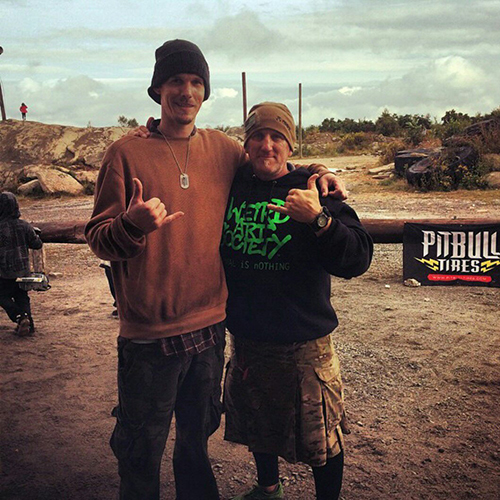 Axial, you are blessed to have Mr. Parker on your team. He is a great guy and truly one of a kind. 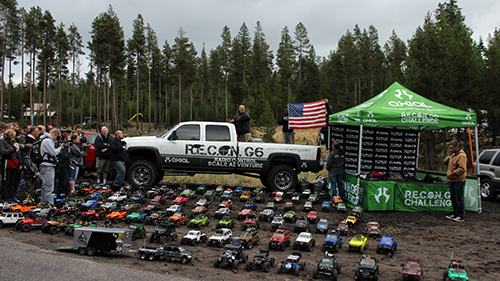 I certainly hope to see more [RECON G6] events here on the east coast in the future. 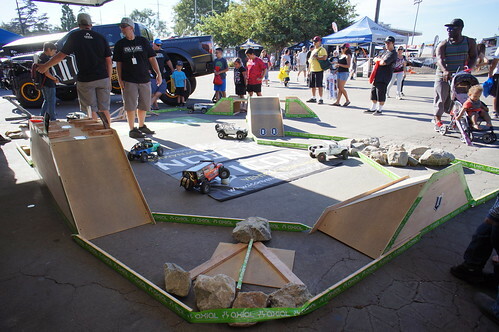 It would be awesome to bring AxialFest out here as well! 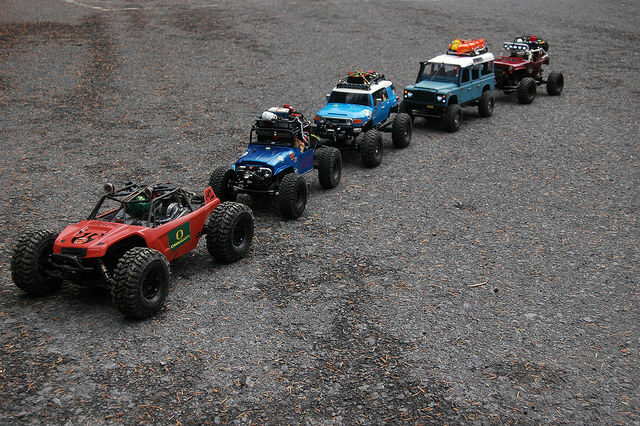 Thanks Axial for making the best scale off-road rigs ever and thank you Mr. Parker for sharing your passion with the world in such an awesome way! 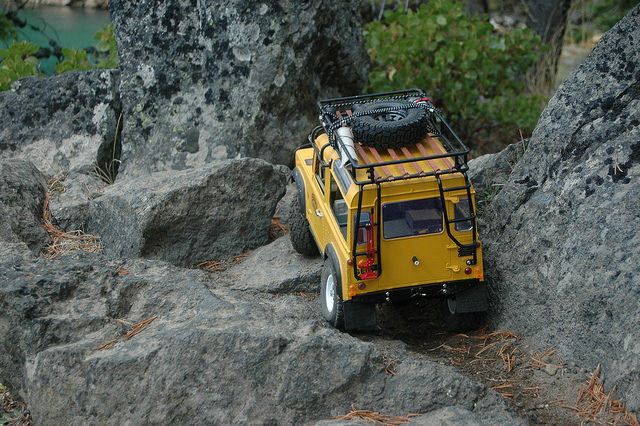 We are very excited about our latest release, the AX90026 Yeti 1/10th scale RTR. 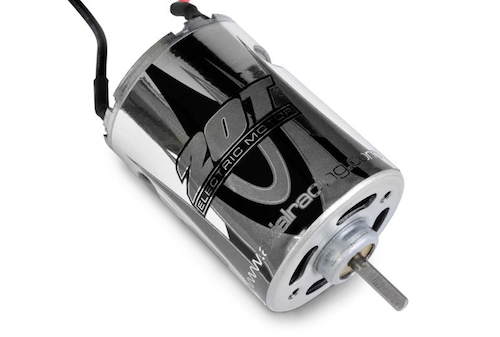 Axial recognizes that some customers have had issues with their rear wheel hubs part number AX80128. 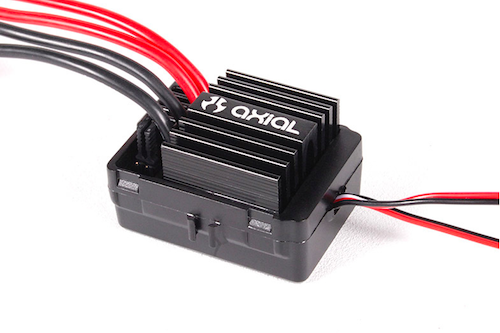 If you have experienced this issue, please contact Axial Customer Service for a 12mm Hex Conversion Service Pack, part number AX31074. 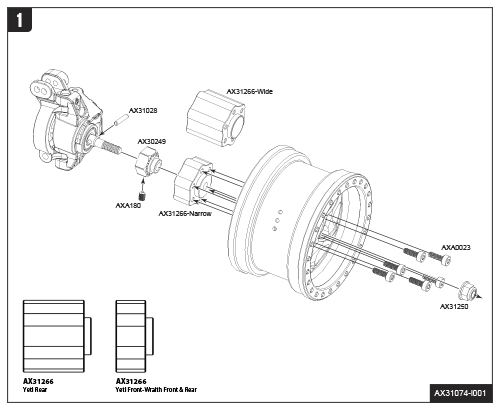 The below image is the instruction sheet included with this service pack along with the AX80128 Wheel Hub Adapters. Click here to download the instruction sheet. 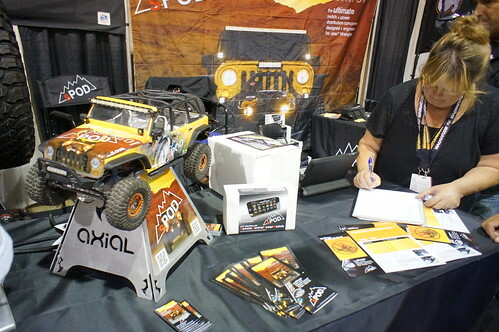 For customers in the USA and Canada, email us at: service@axialracing.com and provide the serial number from your chassis or product package as well as your name, mailing address, telephone number, and email address. You DIDN’T ask for it, you didn’t expect this size from us. You said all we do is re-badge our existing AX10, SCX10 and Wraith platforms… but good grief Charlie Brown, we are only nine years young! While you’ve been hugging your SCX10 branded pillow case, we’ve been quietly working away for the past two years on some newness; first came the Yeti and now the Yeti XL! Yes, it’s real, yes it’s big. Yes, we did it our way and that just takes a little longer than most!